We've got you covered for all your Holiday crafting needs. 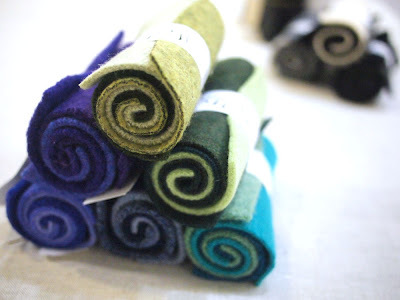 We are now carrying felted wool squares sold in color-coordinated 3 packs. 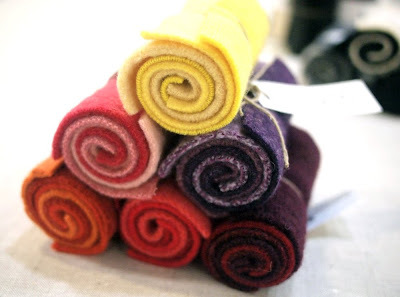 These little bundles are perfect for applique onto a stocking, making hair accessories, or even small sewn toys. 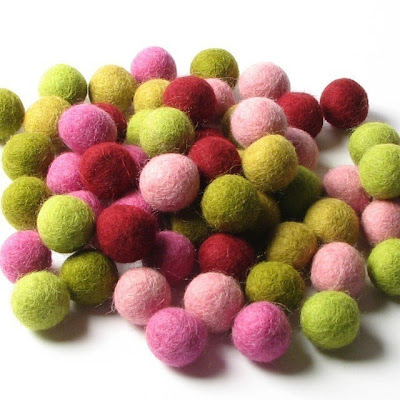 Also available are beautiful felt balls. These come in 4 different sizes and beautiful colors. The possibilities are endless. 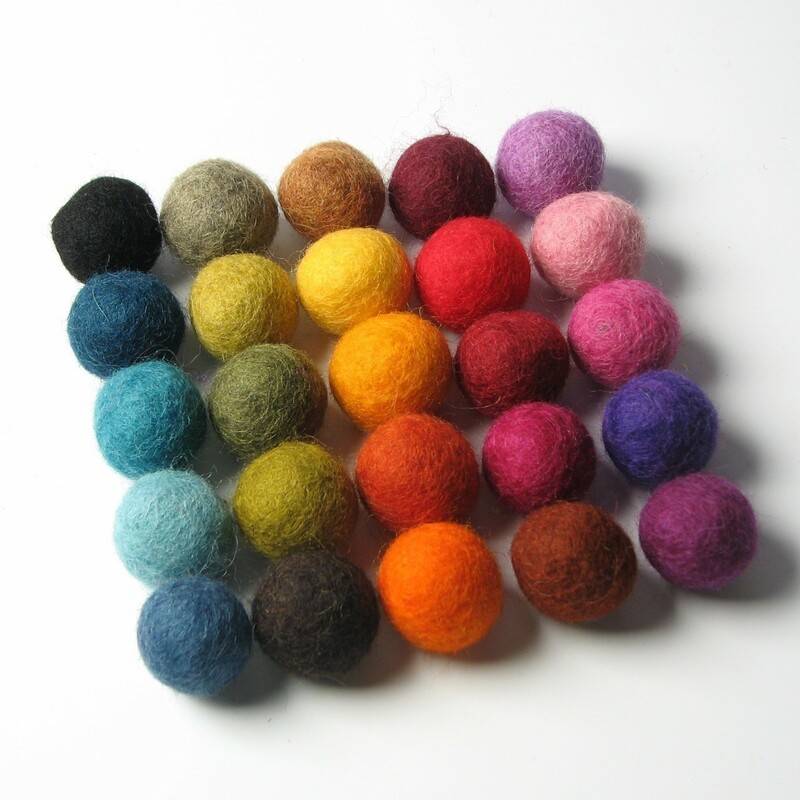 How about felted ball jewelry, acorn ornaments, or colorful garlands? 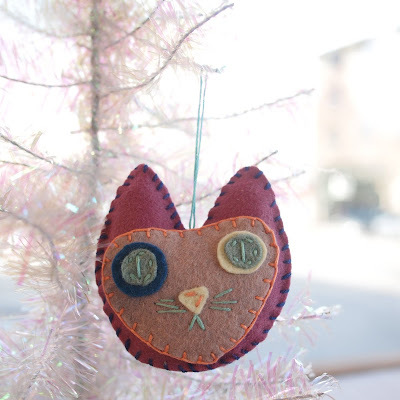 We know you are crafting up a storm this holiday season and we are here to help! 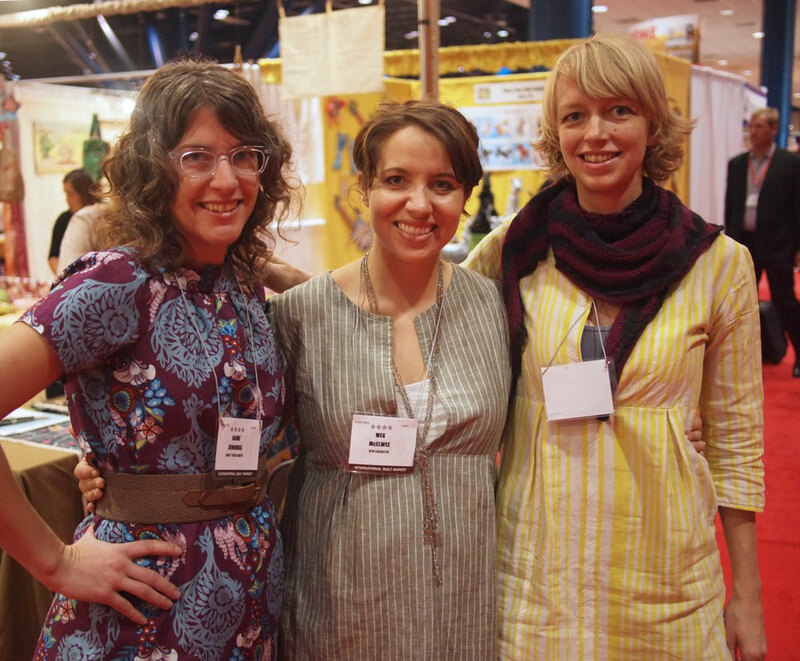 Stop by for tons of inspiration and of course, lots of eco-friendly and socially conscious supplies. See you soon! 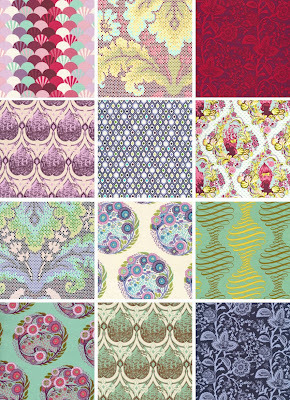 New Parisville Fabrics by Tula Pink! Tula Pink is amaaazing! We love her. At quilt market we fell absolutely head over heels for her newest collection, Parisville. We've been antsily anticipating it's arrival ever since. How can you ever beat Marie Antoinette style ladies with schooner and lion wigs? If you are interested in a behind the scenes look into fabric design check out Tula's blog to find out more about her creative process. Madison recently visited us with not one, but two gorgeous knit things she's made from the Imperial Stock Ranch pencil roving and patterns. 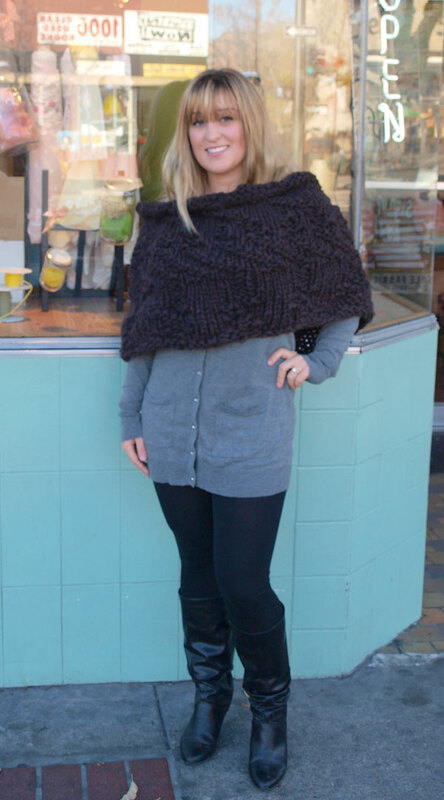 We love how lofty and warm this unspun yarn is, and Madison's Sumptious Cowl and Ribbon Scarf are such pretty ways to wrap yourself up in this cozy yarn! 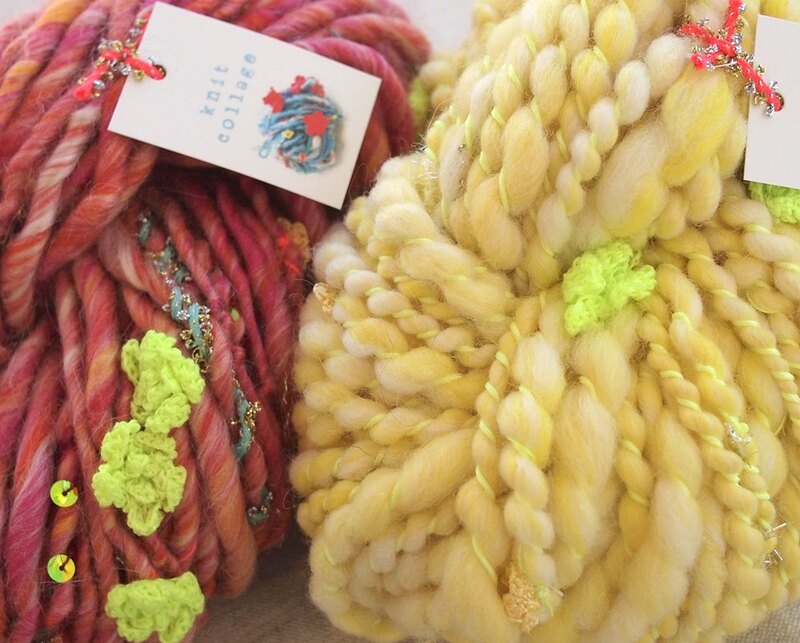 We can't believe how quickly she knit these up! 1) Tell us about what you do. I'm a neonatal pediatric specialist in respiratory therapy at the Children's Hospital. I love knitting because it's a great stress reliever. 2) Tell us about these two cozy projects. I made a cowl and a scarf from the Imperial Stock Ranch pencil roving. 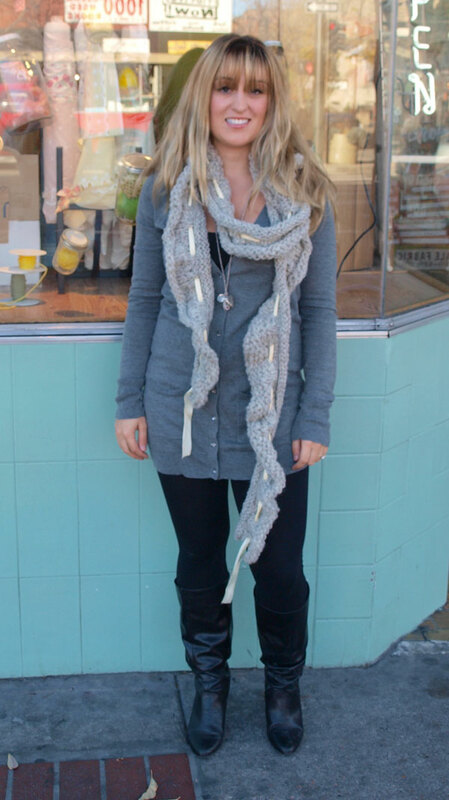 The cowl is the Sumptious Cowl in Rich Soil and the scarf is the Ribbon Scarf in Pearl Grey. 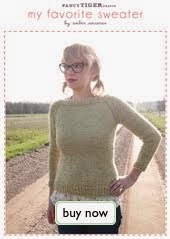 3) How did you pick up your knitting skills? When I was 5 years old my godmother taught me to knit. When I knit it always brings back memories with her. My favorite animals are those cute monkeys at the zoo with the mustaches. New Sewing Patterns by Sewn! 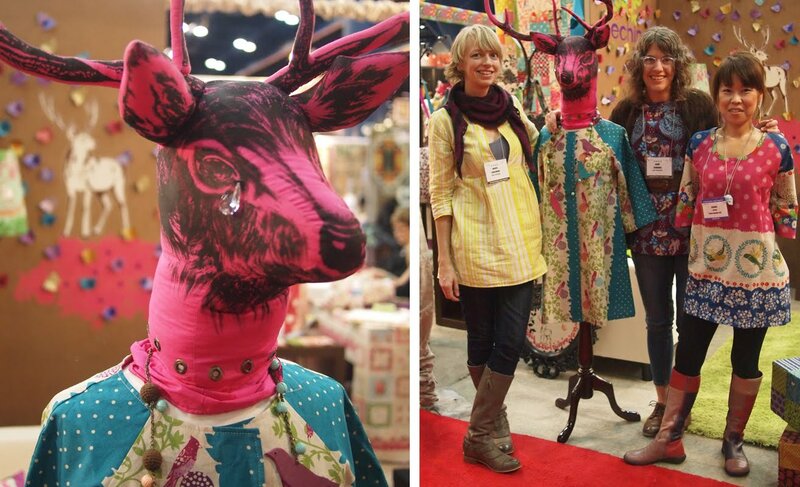 One of the awesome things about Quilt Market is discovering fun new companies. We ran into these adorable ladies, Elizabeth and Gina, two of the three young designers who make up Sewn, a new sewing pattern company based in Seattle. Many of their patterns can be made multiple ways for totally different looks. 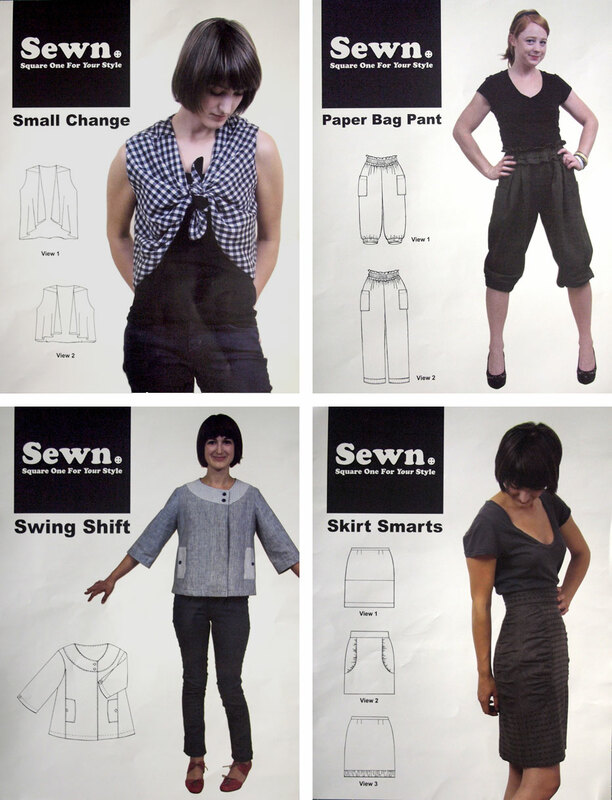 We are in love with their modern garment patterns and can't wait to try them all! I am a corporate soldier looking for something of substance to feed my soul. There is nothing more rewarding than finding a fabric that knocks your socks off and then creating something sensational. 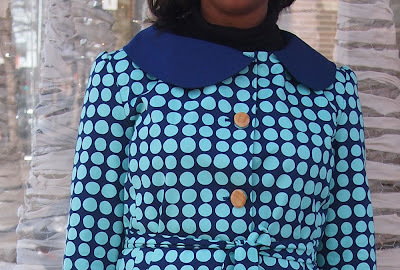 2) Tell us about making this amazing-ness that you're wearing. 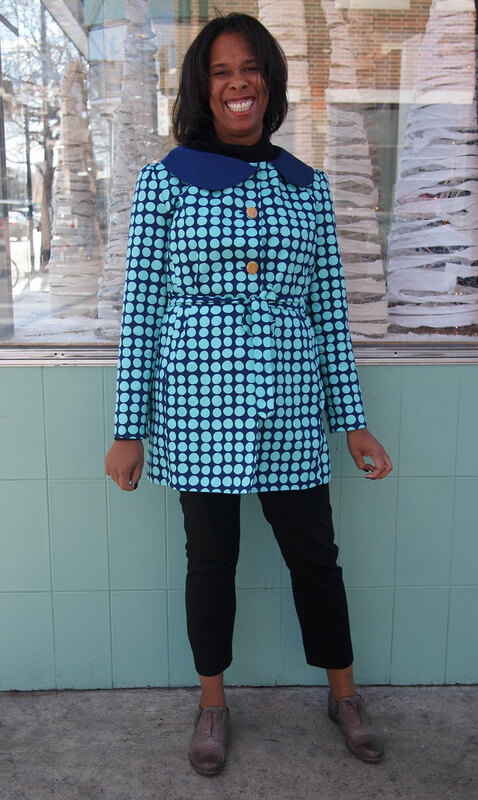 I made this wonderful coat from a McCall's pattern. I had been sitting on the fabric for a while just waiting for the right project. As fall came into sight I thought the colors would be the perfect way to keep lightness and color in my wardrobe. I sewed in high school and then went astray from crafting. In 2006 I needed an outlet. It has been a great way to further bond with my mother who has sewn off and on. I continue to look for new techniques to help add finish and polish to my items. New! Fancy Tiger Stitchin' Kits! 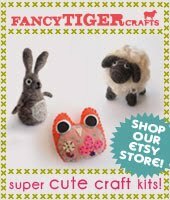 We are excited to debut our newest kits--Fancy Tiger Stitchin' Kits! We've been hard at work crafting up these cuties here at Fancy Tiger Crafts, just in time for holiday handsewing fun! There are four adorable friends for you to choose from and the kits have everything you need--high quality wool blend felt, cotton embroidery floss, natural cotton stuffing and a sewing needle. You'll just need a pair of scissors. They are perfect stocking stuffers or quick enough to make as a last minute gift. ...or hang Edmund the owl from a rear view mirror to keep someone company on the road! 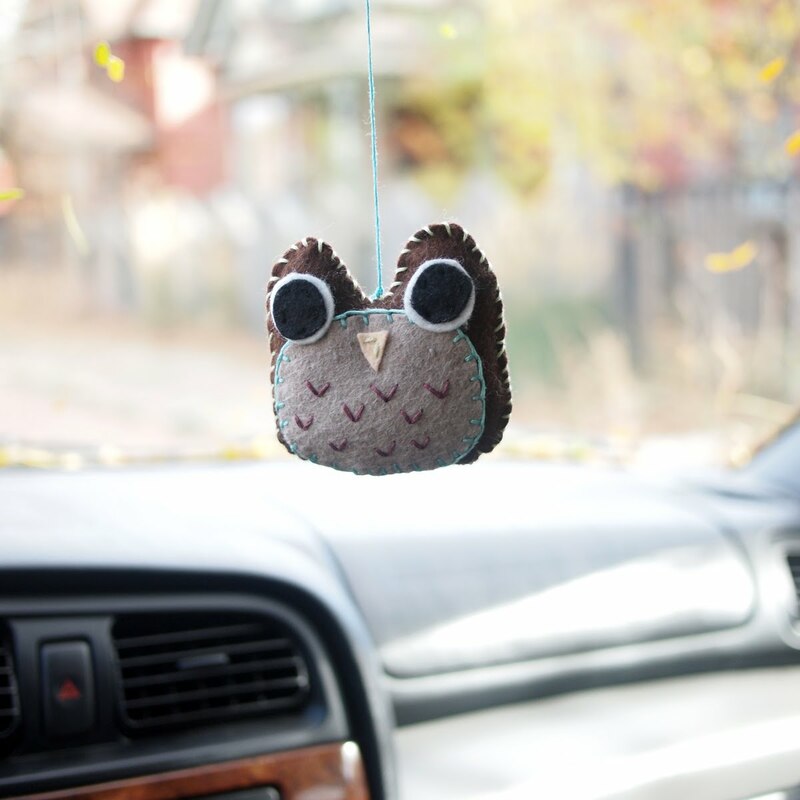 They are available in our Etsy shop or come by the store to pick one up! 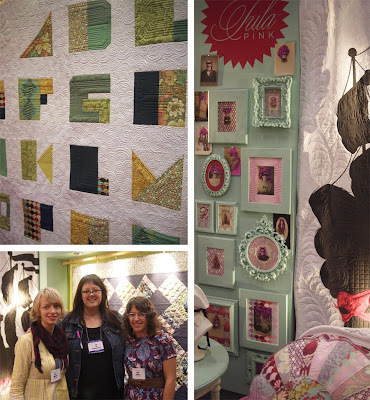 Fall 2010 International Quilt Market Report! There are all sorts of famous crafty people at Quilt Market--we were super-excited to run into Meg McElwee who designs and owns Sew Liberated patterns. 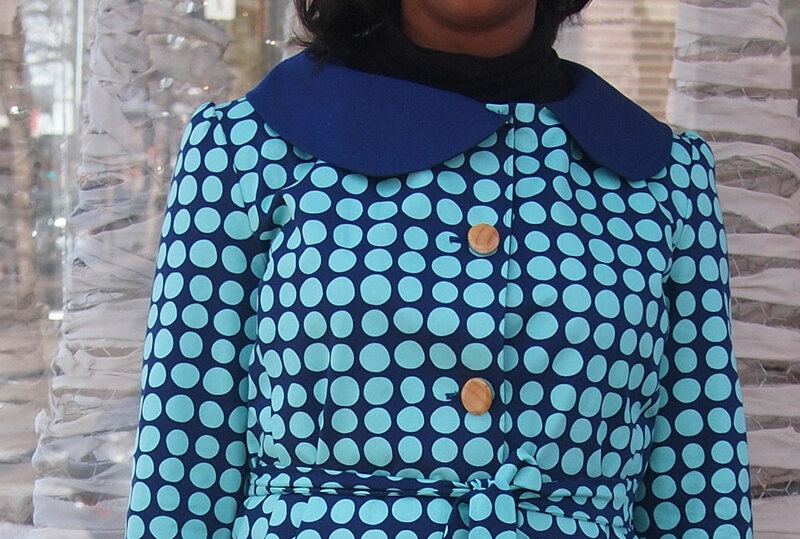 We love her Schoolhouse Tunic pattern. 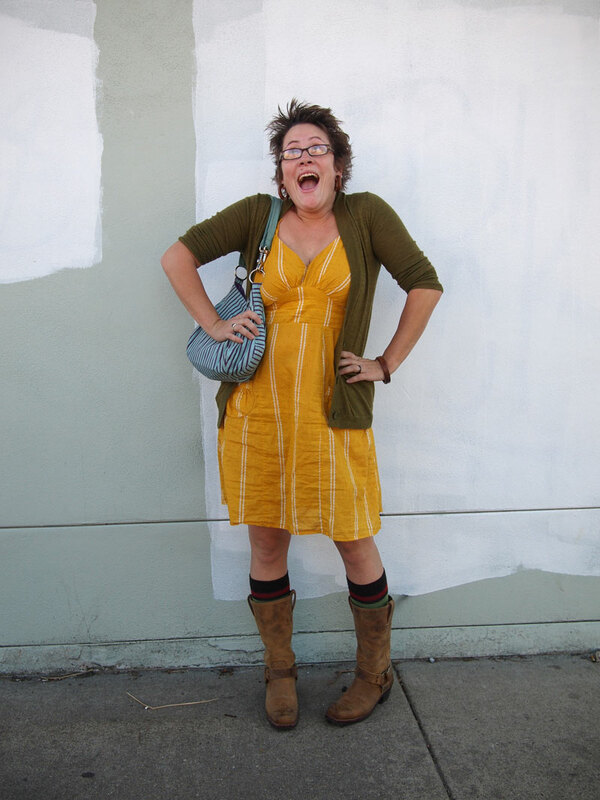 Amber happened to be wearing one of her Schoolhouse Tunics which Meg spotted right away. 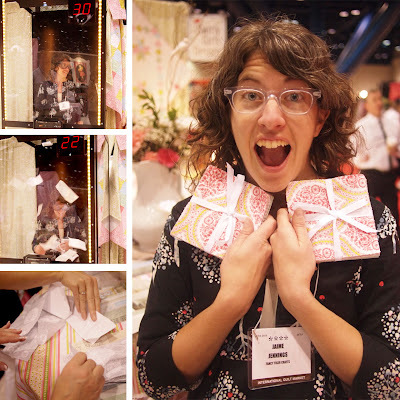 She was so nice and looked adorable wearing the original Schoolhouse Tunic which you may recognize from the pattern cover. 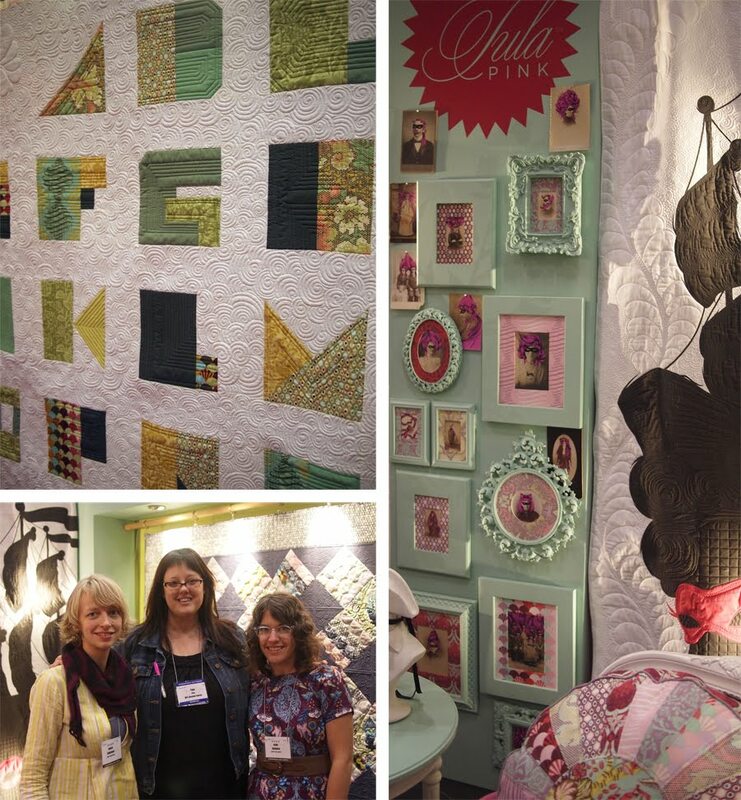 Amy Butler's booth is always filled with inspiration and ideas! She was showing off her highly anticipated collection, Soul Blossoms, at the market and we can hardly wait to get these fabrics in this December. We always love visiting the Seven Islands booth. 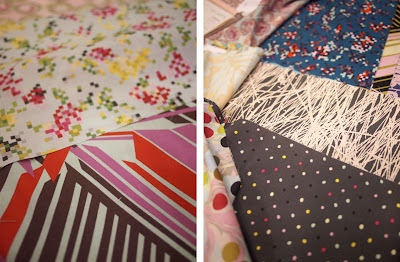 Seven Islands distributes fabric from Japan so we order all sorts of amazing-ness from them. This market, they were debuting a new line from our favorite Japanese designer, Etsuko Furuya, who designs all the Echino prints. Her new collection is as colorful and striking as ever and we even ordered laminates of it! Here we are with her and a weirdly cute deer mannequin. 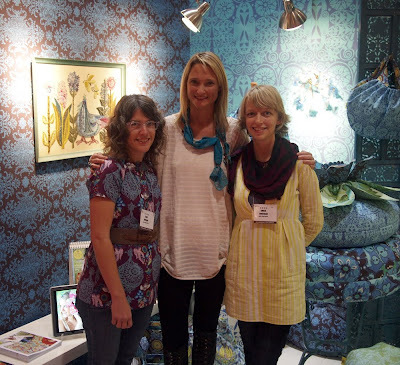 Seven Islands was also debuting a new designer, Melody Miller, who has a 60's inspired collection coming out for Kokka. 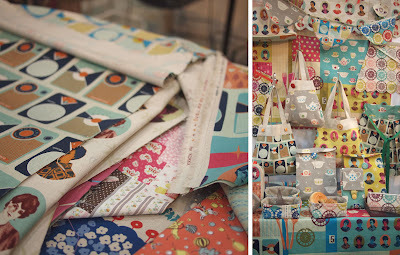 We love the interesting colors and the vintage kitsch designs. Check out the impressive explosion of Kokka sewn goods on display! 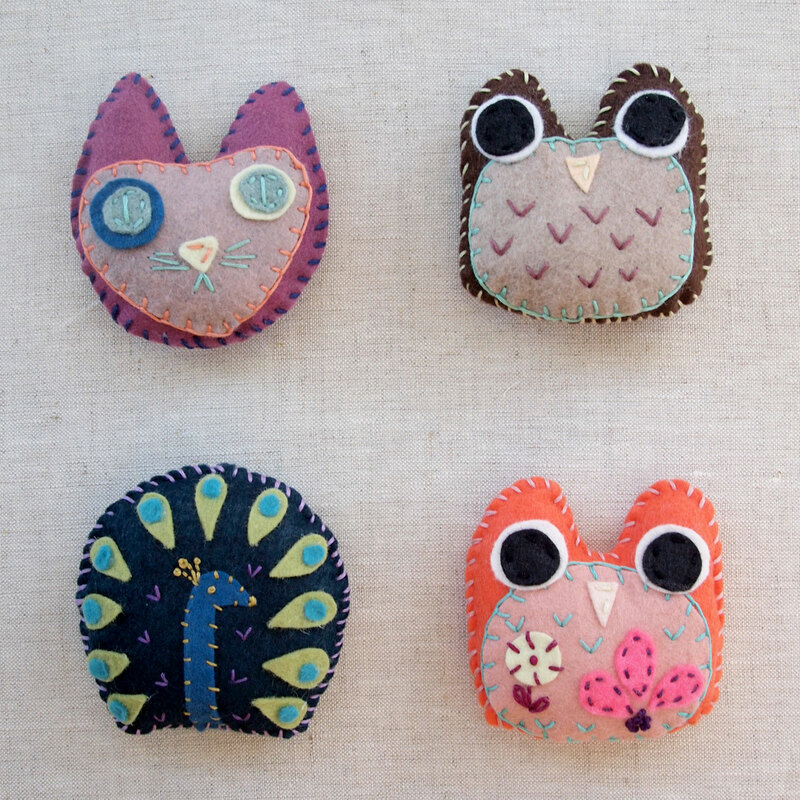 We also picked up some new Japanese sewing kits to make these precious creatures. How can you resist?! These are available now to purchase in the store and include English translation. Hokkoh is another Japanese company that does some crazy prints! 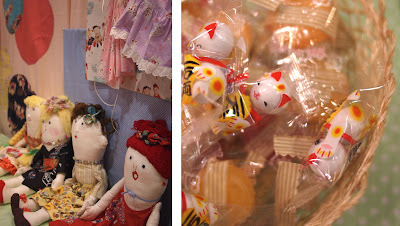 We loved the candy they offered to keep us going--too-cute Mameki Neko cat candies. Michael Miller had some awesome new prints coming out - our favorite were reproductions from mid-century designer, Tammis Keefe. 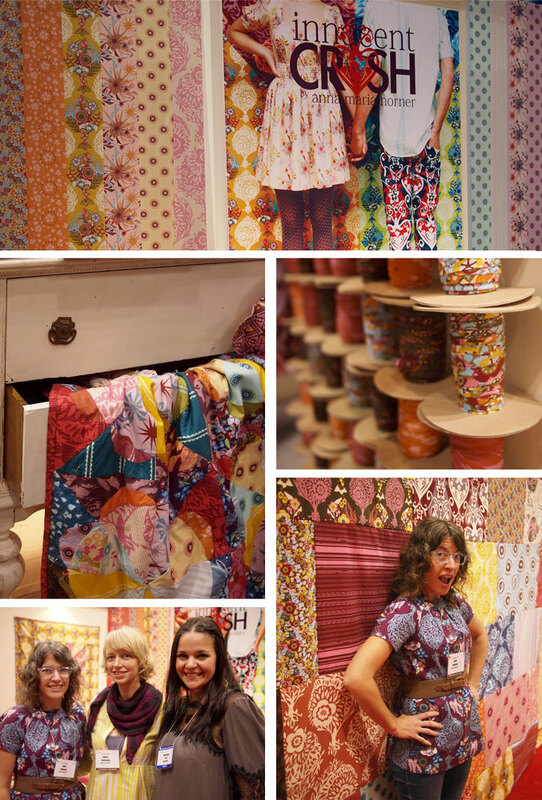 We ordered so much fabric from Michael Miller that I got to spend 30 seconds in their "wind-of-fortune" room. This experience made me really glad I've never been a game show contestant. I did manage to collect enough dollars to win 2 charm packs from their upcoming "Bonnes Amies" collection! We love the embroidery patterns from Penguin and Fish and were pleased to see Alyssa is coming out with new dog embroidery patterns. 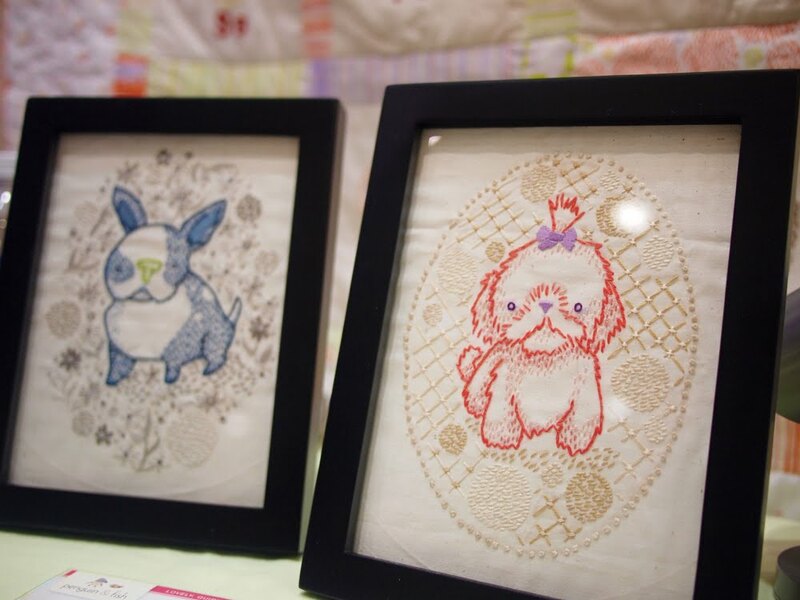 These fancy embroidery patterns are just available in a few breeds, but we can hardly wait to get them in stock, they are soo cute. 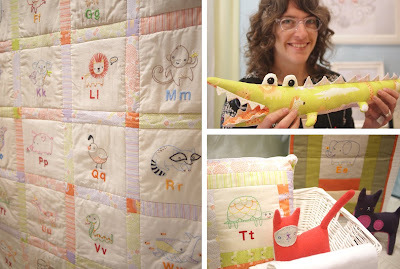 She also has a new sewing pattern out for a sweet alligator toy. 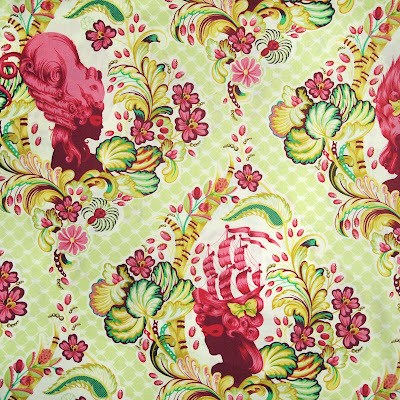 FreeSpirit Fabrics are really killing it this season. 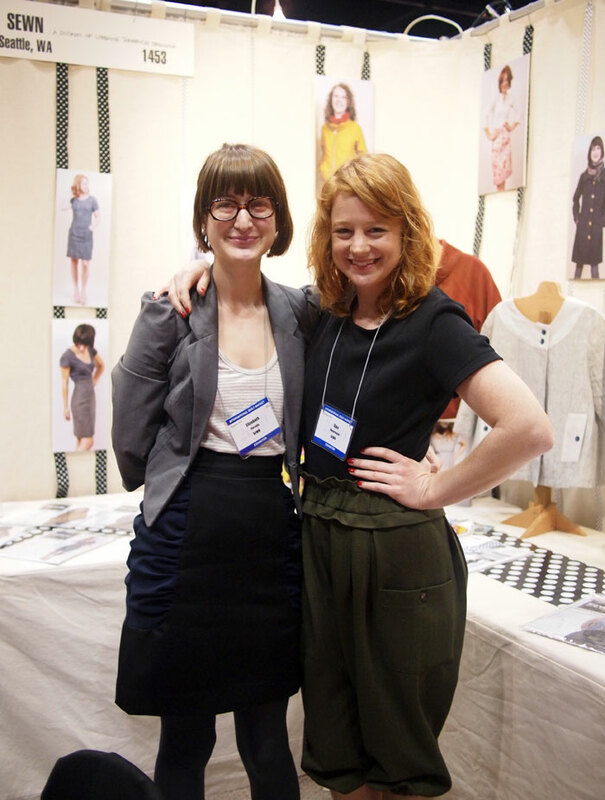 They have so many great designers and collections we can hardly contain our excitement! We are absolutely loving the new collection from Tula Pink. 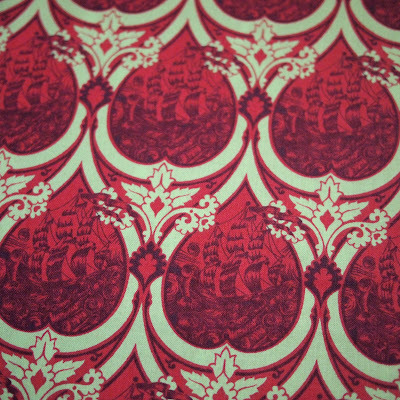 Parisville is a fantasy explosion of ships, hidden mice, geometric dot damasks and lion wigs. It is really inspiring us and we will be sure to post when we receive it! Ms. Pink herself was delightful as she shared with us stories of living on her hundreds-of-acres ranch in small-town Missouri. Her booth was beautiful and really showed off the Parisville collection. Jay McCarroll's new collection and is very different from his first two and we love his new direction. Habitat is really fashion-oriented and are dreaming of sewing up tops, skirts, and dresses out of these prints. Nice work, Jay! Anna Maria Horner was there promoting her newest collection, Innocent Crush. We just received all of the home dec, cotton velveteens and voiles from this collection and it was great to get inspired by her booth. Anna Maria is always pushing the envelope with her fabric choices. Last year she brought us her beautiful voiles and this year we are excited to be carrying her cotton velvelteens. These fabrics are super soft and we love that they are made of natural cotton! 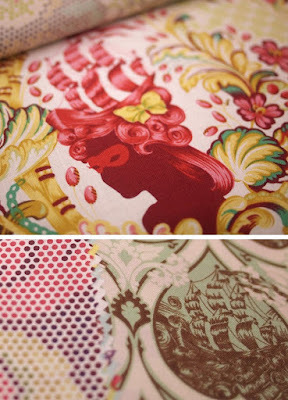 Ms. Horner also had some bias tape made up from the collection and we really hope this goes to production so we can carry it! Anna Maria spotted me from afar in my brand new Innocent Crush top and so of course we had to stop for a photo-op. 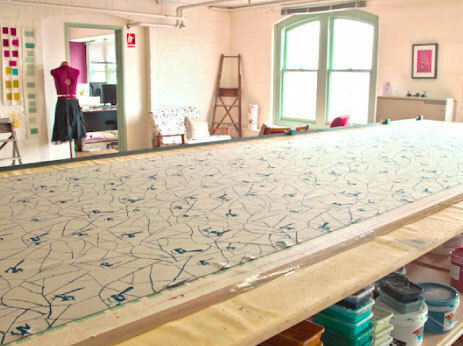 Ty Pennington of TLC's Trading Spaces and ABC's Extreme Makeover is expanding into the world of fabric design. His collection for Westminster was the talk of the show and he was swamped with eager fans getting autographs. Some of the smaller fabrics companies are our favorite ones to visit at quilt market. We get to talk with the people who are designing and manufacturing their own fabrics. 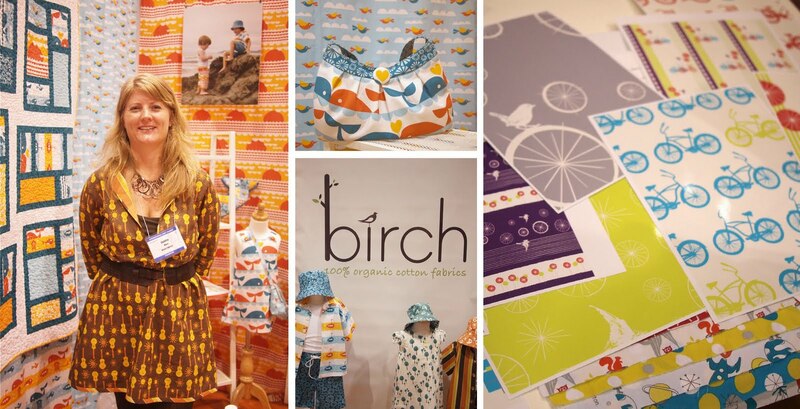 Birch is one of these companies and it was so great to meet Cynthia, the woman behind it all. 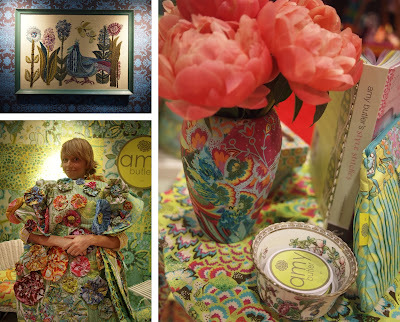 Cynthia and her husband, Jason, collaborated on their newest collection, Avalon. 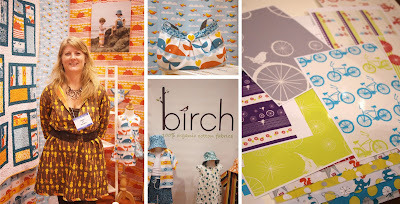 We know you will love the bicycles and birds - together at last! Another small but amazing company is Cloud 9 Organics. 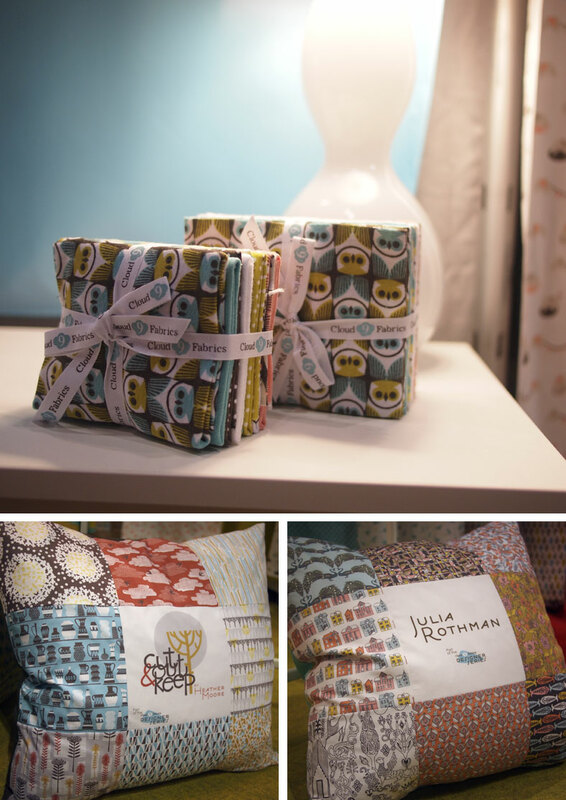 Cloud 9 is introducing 3 new collections by 3 new designers - Heather Moore, Julia Rothman and Geninne Zlatkis. Each of these designers has a very distinct style and we are looking forward to these more sophisticated and grown up collections from Cloud 9. Last, but not least, we got to meet Lizzy House! Lizzy is the designer behind the Castle Peeps collection and has another new collection on the way. She was adorable and sweet and we are excited to get to know her better. 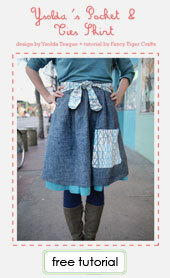 That's right, Lizzy will be in Denver next Spring so stay tuned for uber-exciting-hang-out-crafting-action! 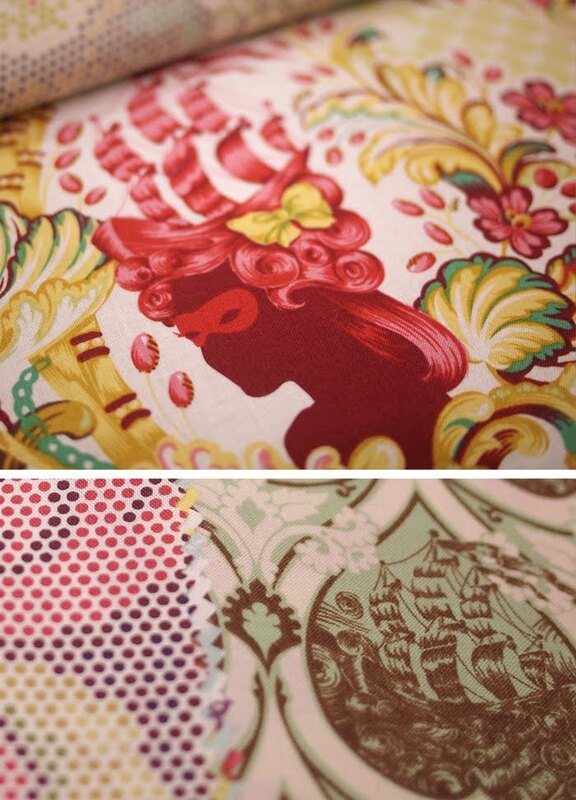 I know you all are probably as excited as we are about the new fabrics! Most of these will be coming out starting in January and then throughout the beginning of the year into spring. 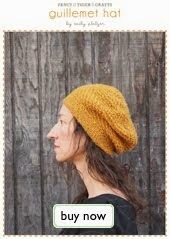 We can all look forward to tons of amazing sewing projects in 2011! 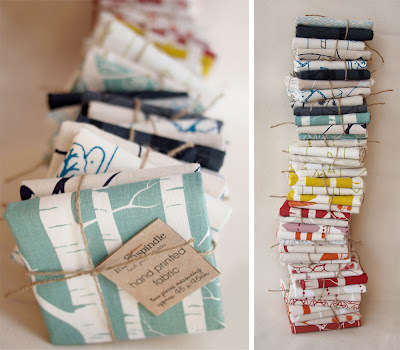 New Ink & Spindle Fat Quarter Bundles! Gorgeous Ink & Spindle hand screen printed fabric bundles are here! 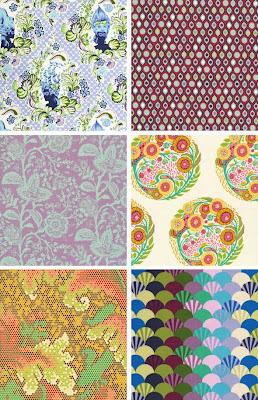 We adore these fabrics! Hand printed by Lara and Tegan in their Melbourne studio, these fabrics are beautifully designed and are a dream to touch. They are printed on crisp and sturdy 100% organic hemp and cotton fabrics with eco-friendly inks and practices. 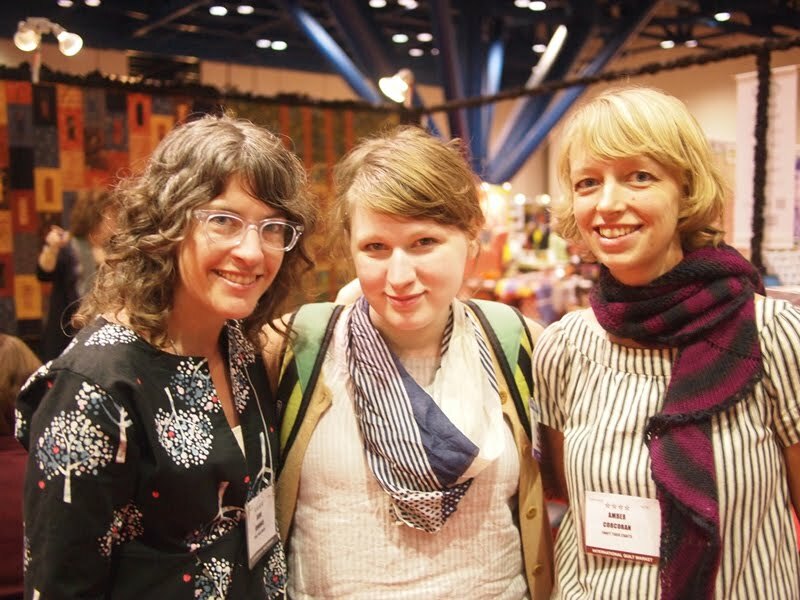 These ladies sure put a lot of love into their textile designs and it shows! Sara is looking so adorable in her happy little yellow dress and handbag! She is an amazing seamstress--the bag is of her own design--and we always love to see what she has been sewing! I'm a high school math and art teacher. I love making things, and I really love using things I make. My goal is to learn how to make shoes. 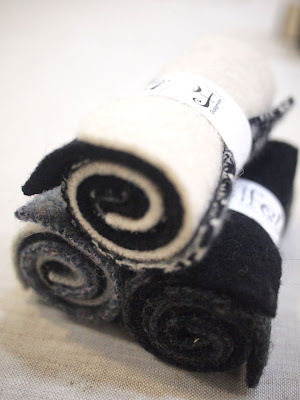 I sew, knit, spin, do stencils. You name it, I have probably done it. 2) Tell us about these two cute projects. I made the Colette Patterns Parfait Sundress in cotton voile. I designed the purse myself. It's my super-secret-hearts-bikes purse. 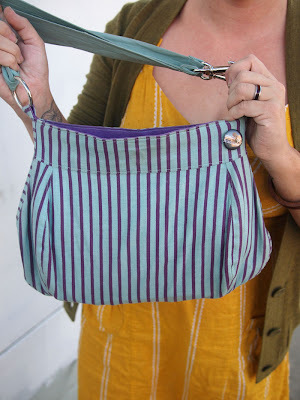 The strap goes from shoulder bag length to messenger bag length. The purse seriously holds tons. My u-lock fits in perfectly! The dress is made from Anna Maria Horner voile. I started sewing around the time I began walking. My mom taught me. Now my mom calls me for sewing advice. I really started sewing in earnest after high school. My first dress was made without a pattern. 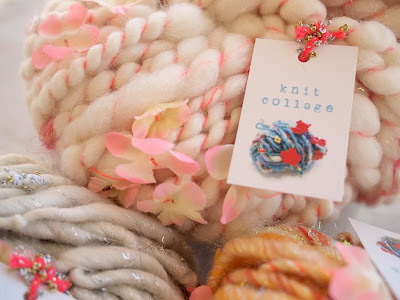 Knit Collage Yarns are Cute! 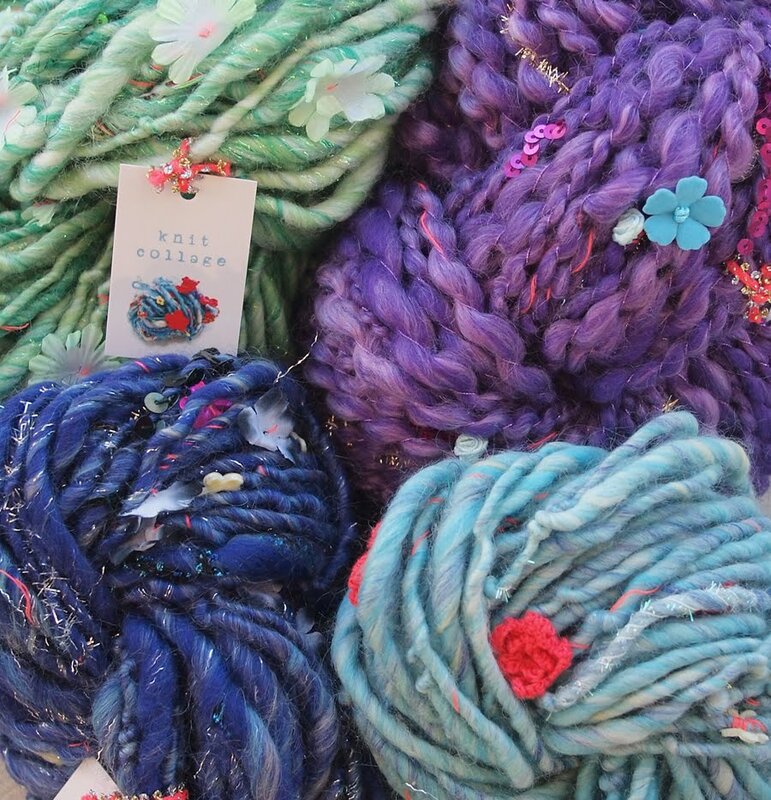 One of my favorite things about wintertime is receiving a big box of delicious Knit Collage yarns! These adorable hand spun beauties are covered with sparkles and miniature flowers with adorable bits of colorful ribbons spun into the wool.